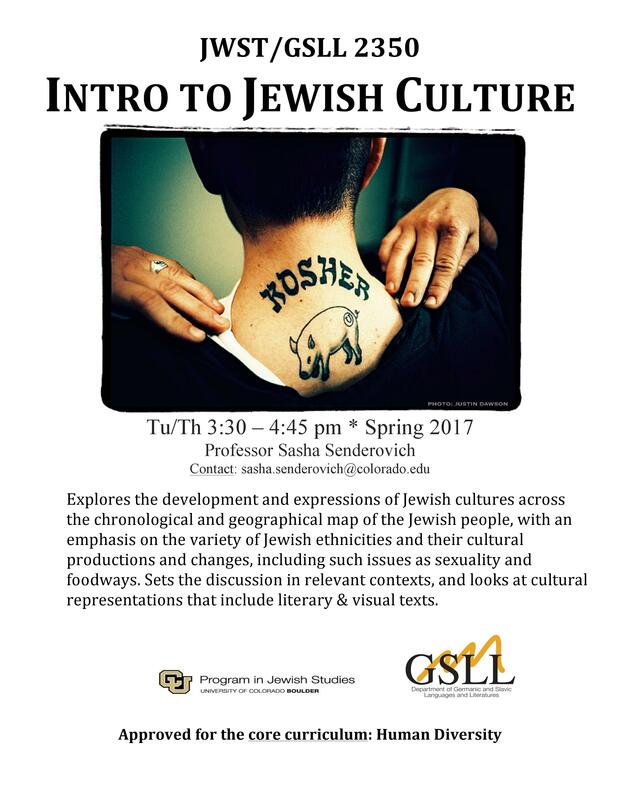 This course explores the development and expressions of Jewish cultures across the chronological and geographical map of the Jewish people, with an emphasis on the variety of Jewish ethnicities and their cultural productions and changes, including such issues as sexuality and foodways. Sets the discussion in relevant contexts, and looks at cultural representations that include literary & visual texts. "What is culture?" is the main intellectual question this course asks. What we do during the semester is looking for more and more complex ways to ask this question and to think about how to answer it, exploring Jewish culture as our main example. As a class, we take an expansive view of what "culture" is -- culture as not only literature, cinema, comic books and graphic novels, and other arts, but also culture as constituted by everyday practices, religious and social beliefs, material objects, foodways, approaches to sexuality and notions of gender, folklore, and many other topics. The course aims, above all, to help students sharpen their critical thinking skills by framing and reframing our main question in ways that could help us approach complex issues in this course, in other university-level courses, and, most importantly, outside the classroom.